Plumber West Lake Hills TX from Fast Plumbing Services offer exceptional customer service. Services include drain cleaning, water leak detection, water heater installation, garbage disposal repair, and toilet repairs. Our West Lake Hills TX plumbers are happy to help with your urgent request. There is never an overtime charge for services on nights, weekends, or holidays. 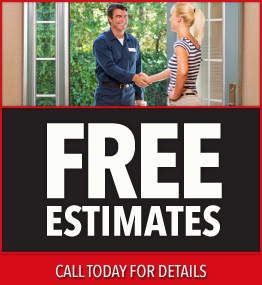 Our Fast Plumbing professionals show up on time and treat you and your home with respect. We will give you a price before any work is performed and can be assured the work will be completed right. We provide many services including water heater West Lake Hills TX, drain cleaning West Lake Hills TX, and water leak detection West Lake Hills TX. Estimates are base prices on the specific service. If additional parts or labor are required to complete your plumbing job, the West Lake Hills TX Plumber from Fast Plumbing will discuss this with you at the time of your appointment. Do you need a reliable and professional West Lake Hills, TX Plumbing Repair Specialist or a reliable West Lake Hills Plumber for your plumbing repair needs? Fast Plumbing, with years of experience, offers a comprehensive array of solutions to your plumbing needs. We work for residential, commercial & industrial clients of all types. Please take a look at the list of some of the services we provide in West Lake Hills, TX! References Available! Please Ask! West Lake Hills Plumbing Repair Services! A tankless water heater is an energy-efficient water heating system that heats water only when it’s needed. These space-saving water heaters can supply endless streams of clean, hot water to multiple appliances simultaneously, without any fluctuation in temperature. Why a Rinnai Tankless Water Heater? A Rinnai tankless water heater only heats water when you need it. So you get an endless source of hot water, while also saving money on energy costs by not heating and reheating the same tank of water. When opening a hot water tap, or starting the dishwasher, the Rinnai tankless water heater recognizes the need for hot water and starts the heating process. The temperature of the incoming water is used to calculate how much heat the burners must produce to deliver water at the desired temperature. When the demand for hot water ceases the unit shuts down and uses no energy, waiting until more hot water is needed. The end result — hot water that is not limited to what’s available in your tank. You always have clean, hot water when you want it for as long as you need it! Rinnai tankless water heaters heat the water you need when you need it. Turning any water source into hot water on demand. An advantage of having a tankless water heater is it does not limit to the amount a storage tank heater can hold. Whether you are washing the dishes, washing your clothes, or drawing a hot bath, Rinnai’s tankless water heater technology will supply endless hot water to your lifestyle demands-even if you do them all at once! 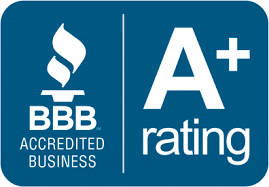 Fast Plumbing is a certified Rinnai installer in West Lake Hills, TX area! Trust the professional plumbers of Fast Plumbing in West Lake Hills, TX to provide you with expert plumbing services. Our family-owned-and-operated company is backed by more than 20 years of experience and has extensive experience in Water Leak Detection and Repair. A clogged drain can be a real hassle, but Fast Plumbing has the solution. First, our professional West Lake Hills, TX drain cleaning technicians will open the line and review the problem at hand. Then he will use our company process to thoroughly clean any clogs that are there. 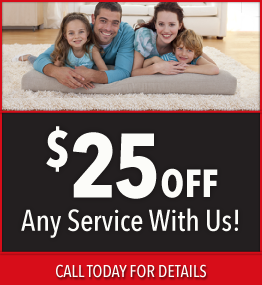 From problems as simple as when your two years old has flushed his favorite toy down the toilet to a more difficult sewer backup – we’ve got the equipment and the trained technicians on the job to get things flowing for you quickly and efficiently. Bathroom sink, bathtub, kitchen sink, main sewer, etc. we can take care of all of it for you in a jiffy. High-Efficiency Toilets (HET) can save up to 16,500 gallons of water each year over older type less efficient toilets found in more than 50% of the homes in the United States. Fast Plumbing offers an extensive variety of water-saving toilets that continually exceed performance and design expectations. Fast Plumbing specializes in ALL types of environmentally friendly plumbing fixtures and procedures in West Lake Hills, TX. Turn off the water faucet while brushing your teeth. Bucket shower/bath water while waiting for the water to heat: Use this water for watering plants. Only flush the toilet when disposing of sanitary waste. With FAST PLUMBING, saving water is easy! Fast Plumbing specializes in all types of faucets and fixture repair and replacement in West Lake Hills, TX and surrounding communities. We can replace sinks, bath and shower faucets including complete kitchen sink replacements. Replacing a sink and the faucet requires having the right tools and experience to do the job properly. Fast Plumbing has gained experience in all types of sink and faucet replacement. Changing out the sink in the bathroom or the kitchen requires that you turn off the water and disconnect the water lines and drain lines before beginning the process. Fast Plumbing welcomes the opportunity to assist you with your next kitchen sink, shower or bathroom plumbing need. Please contact us today! “I want to be your Plumber!” in West Lake Hills, TX. Please review the following basic Tips regarding common plumbing issues in your home or office. Fast Plumbing will always be ready to assist you regarding your plumbing repair needs in the West Lake Hills, TX area. A running toilet is often due to the chain on the flapper getting caught up, which blocks the flapper from creating a seal. The chain may be broken and require a replacement. The shut-off float may be lifting too high and preventing the valve from shutting off completely. Try flushing the drain with hot water for a few minutes. You may also try a store purchased drain cleaner. Make sure to flush the chemicals out with hot water after unclogging the drain. Faucets may leak due to old gaskets, rings or corroded valve seats. The faucet should be taken apart. Do this by removing the handle and unscrewing the packing nut beneath the handle to expose the stem. Examine the stem. Clean it if it is dirty and replace the washer if it is flat or has a groove. Try a plunger and flush the toilet simultaneously. If this doesn’t work try a plumber’s snake from a hardware store. When your water level is low, pour water from a bucket into the toilet. Contact us today at (512) 928-0378 to find out more about how our experienced professionals can resolve all your plumbing issues!